GroupHigh is an essential content marketing tool that allows you to quickly find any blogger’s contact information. Research blog posts, and build targeting outreach lists. affiliate marketing tools. New tools added all the time! Since 2010, GroupHigh has been the leader in blog intelligence. Filter blog results by content, SimilarWeb traffic, seo authority, social following, language, location, and much more! See blogs that have already linked to your competitors, your brand, or your clients instantly -the easiest vehicle for building new relationships. Target audience demographics in order to zero-in on the perfect bloggers for promoting your product or content. We have data for ~ 50 million websites on the Internet so you may rest assured that you’re getting the best possible coverage and results with the GroupHigh 8 blog search. Find influencers who are most engaged with Instagram, YouTube, and Twitter. Research influencers who have a loyal and engaged audience in order to filter out fake and misleading influencer profiles. 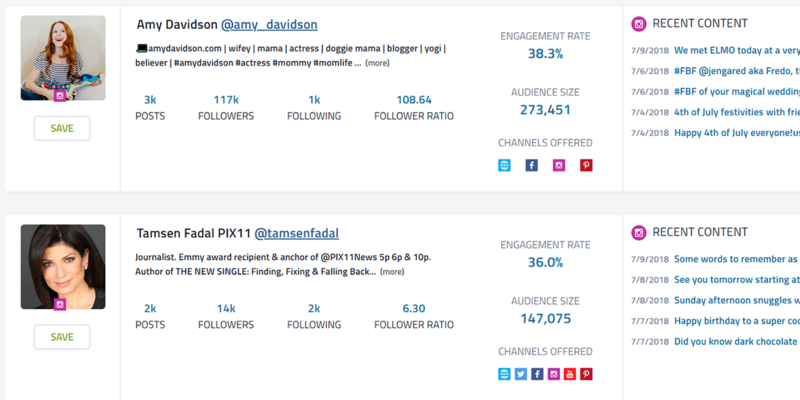 Discover influencers in any niche: “long-tail,” “micro,” or otherwise. With more search filtering capabilities than any other influencer search, GroupHigh will assist you with building the perfect list of quality influencers for your next campaign. GroupHigh allows you to import website, blog, and social URLs from tools such as Ahrefs and Buzzsumo to automate outlet research. GroupHigh import automates the research and collection of more than 50 social, seo, blog, website, and content statistics in seconds which allows you to make intelligent decisions on who to reach out to. 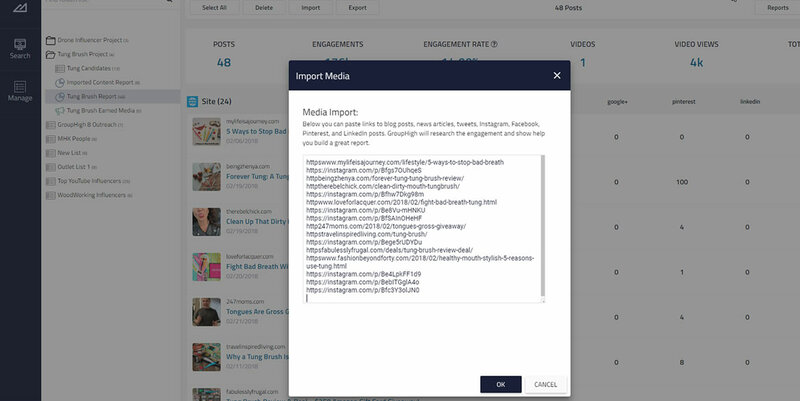 With GroupHigh 8’s Tracker feature you can also import website, blog, and social content URL’s to build a report of your content’s engagement, shares, clicks, and links. GroupHigh includes several visual reports that allow customize and display your earned media in a never-before-seen visual way. Analyze post engagement, sharing, and compare engagement rate statistics to learn which influencers and content creators really work for your company.